There are two different covers for Product group 31 which both are made from fire resistant material and can be used for air conditioning units or fixed over the fluorescent light fittings. They are all fully ventilated to prevent units from overheating. This product group all offers up to 88 minutes integrity. 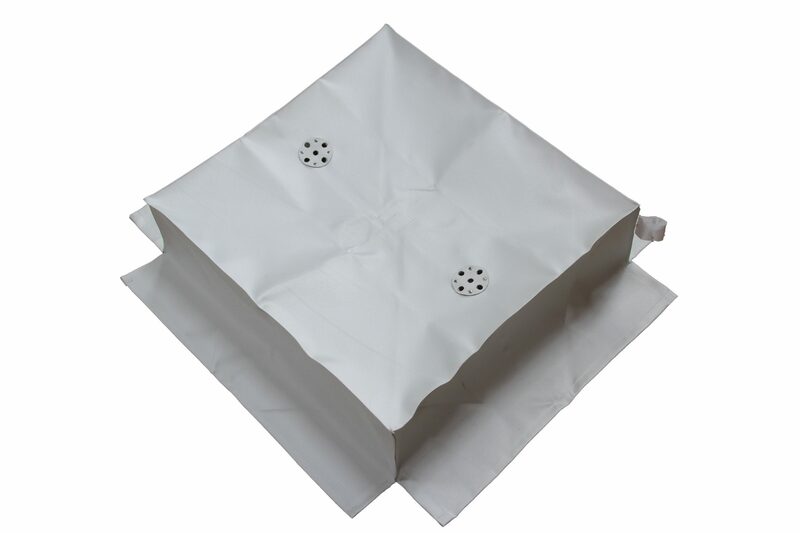 For the Tent Covers for Light Fittings please click this link. 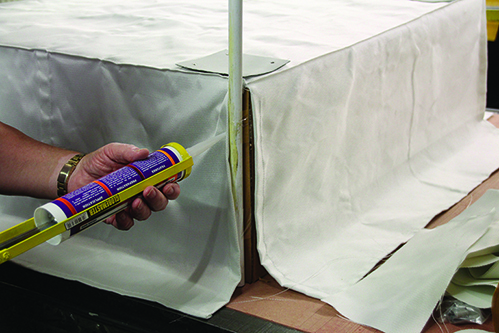 Lay the tent out flat on its back and thread the rods supplied through the centre hole. With the tent laid out, turn it to its upright position and insert rod ends into the corresponding pockets located at each corner of the tent. 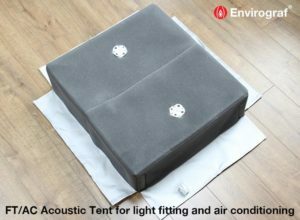 Place the tent over the light fitting and fit the cable through the ventilation hole, connecting to the light fitting according to the manufacturer’s instructions. Pull the material away from the fitting over the T-bar at each corner and fix the material to the T-bar with the supplied clips. Pinch each clip with a pair of pliers to fix tightly. For larger tents (FT4 and up), follow the above procedure, but be sure to fix in place where the tent lies over the T-bars with supplied clips. Tested to BS476 Part 22 and Part 23 Clause 5 (1987), achieving 88 minutes integrity. Acoustic version tested to comply with Document ‘E’. Tested to NEN 6072 (1997).